My bday is in January as many of you know, but I felt really sad about not having a birthday party. My sister-friend, Lisa talked me into it and now it’s about to go down! I’ve always loved to entertain at my home; friends, good food, good drinks always = a good time, but everyone is so busy and parties can be so expensive. Since I only plan on turning 40 once, I might as well mark the occasion with an old fashioned block party. Cotton candy, popcorn, BBQ and adult beverages are on deck. So far, 40 has been very good to me. I’m healthy, still teaching SPINNING, still learning and growing each and every day. I’ve embraced it. 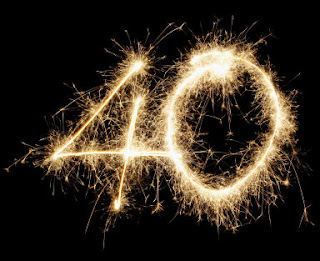 I didn’t think 40 could be this dang FABULOUS! !